So much to do and so little time - it is a common order of things for every student! Just think about it: you have to attend classes, do homework, work part-time, write your thesis, and occasionally even have a private life! How can any human possibly juggle so many responsibilities at once? Thankfully, there are a few things that usually save students in such occasions - it’s youth, attitude, and of course, the top-rated college apps! Let’s face it - smartphones, tablets, laptops are everywhere around. Even post-graduate students 30+ have them. Those devices are typically associated with distraction from the studies and simple waste of precious time in college, while in actuality, smart people use mobile apps for smart goals. 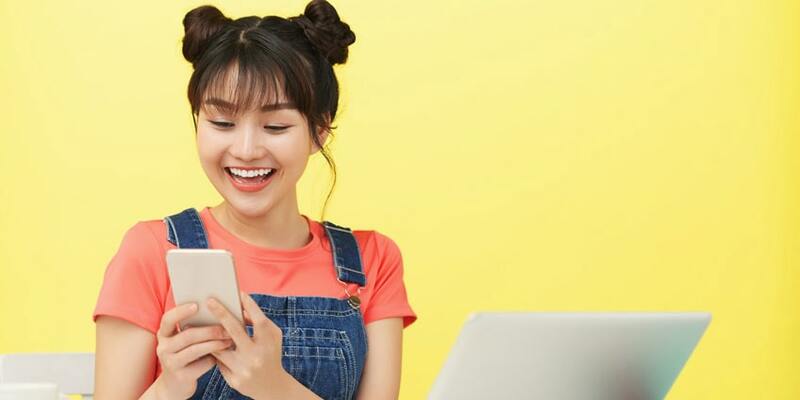 Let’s discover the newest list for the best apps for college students and see how they can make your college life a breeze instead of a nightmare! Organize your schedule, maintain healthy lifestyle, ace your exams, have a good time, and always come home safe - there are so many occasions when a phone app can literally become a life-saver! First things first, a lion’s share of academic success depends of student’s personal budget. It’s a simple formula. If you can manage it smart - you win. But no matter the simplicity, not everyone can solve this equation. Thus, we have collected the leading apps that will help you deal with money effectively and not find yourself broke one day. Above all the daily expenses and whatever else is that you need money for, you need to pay for your tuition and accommodation. Because if you don’t handle this task, everything else won’t matter. Thankfully, there are student loan apps both for Android and iOS, helping you to get and pay for student loans. You can type “Student Loan” in the search field on either Google Play Market or the iOS App Store and you get dozens of apps that will be called exactly this way - “Student Loan”. They collect a number of institutions all-in-one that provide educational loans. With only one account in this app, you are eligible to apply for many loans and wait for the response. Quickly and efficiently! Other popular applications represent single institutions providing educational loans, like Brainybatch Education Loan For Schools & Colleges and Great Lakes Loans. Managing money online is much easier than having to deal with cash everywhere around. 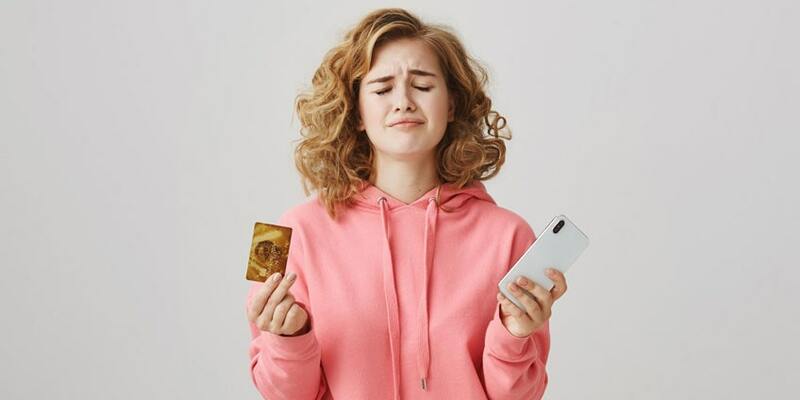 More advantages come when you understand that online money is not that easy to be stolen (if you take proper care of the smartphone’s security). Moreover, by creating an e-commerce account, you can track your income and expenses all in one place. Thus, you may save when needed, as well as manage your resources in a better way. The most popular e-commerce apps for online transactions are PayPal, Skrill, Neteller, and Payoneer. There are also favored local e-Wallets like the Bank of America for the US and AliPay for China. Students also avail services of e-commerce platforms that offer price comparison, discounts, and monthly plans of attractive buys. For example, the Amazon Student Mobile App offers a discounted subscription plan for students. But wait, there’s more. You can QR-scan things that you need for studies like textbooks, and then compare their prices. Afterward, when you don’t need the book anymore, you can swap it for Amazon Gift card. Now when you’re at college, your monthly budget includes many adult expenses like bills, grocery, laundry. Add here nights out, studying expenses, transportation, shopping, medicine, online subscriptions and you will have your monthly budget. Budgeting apps are user-friendly and easy to use, even though they take a while to get used to. But when you do, seeing clearly where all the money goes allows for having a more efficient budgeting and fuller pockets. Students love apps like Spendee, Money Lover, Monefy, Youth Go Budget, Fudget, and many more for their bright and straightforward interface. Track your expenses with colorful infographics, create different wallets for various purposes (like saving money for a new car or a summer vacation), integrate it with other apps, and switch between currencies - so many functions for productive budgeting! Now you won’t feel like all your money just melts away for reasons unknown. Additionally, if you are used to split your bills and restaurant checks with friends, you can download apps like SplitWise where you can easily split the payment, lend money and receive what somebody else owes you. For more saving, opt for student budgeting apps like Chegg - the app for textbook rental. Just borrow that four-pound Quantum Physics book exactly when you need it instead of buying one! Maintaining motivation every time you need to do tedious homework is hard, yet you know you need it for your bright future. The apps that we present below will help you avoid the clutter of papers on your desk waiting for you to sort it out and extract the knowledge that increases your academic performance. How about some 4.0 GPA, anyone? Let’s roll! To assist you with writing a college essay on the go, you can use mobile apps that can be regarded as classics today. Google Drive, for instance, is one of the most popular cloud storages where everything that you write stays in the safe place while also autosaves as you work on it. Microsoft Word is a traditional app that is available now not only on your laptop but also on smartphones of all types. If you are looking for some native iOS apps, try Pages, Editorial, Ulysses. Grammarly is yet another cross-platform app that every student would love. No accidental grammar, punctuation mistakes and no more typos! For a paid subscription plan, you also get more functionality like word choice offers and stylistic advice that can be tailored specifically for the type of text that you are working on. Student writing apps also include many creative android notes applications. The most convenient, in our opinion, is Evernote. You can instantly make notes, attach all kinds of files and media to it, categorize the data in different sections, integrate it with all your devices’ ecosystem, and share with friends. Create to-do lists, goals, copy anything from the internet and paste to your essay drafts, revise and proofread with friends. One more simple app that can save tons of time is SnapToPdf, where you can instantly convert any file to PDF. It is especially valuable when your professor demands papers exactly in PDF format, and you have to make some last-minute corrections. Considering the limited size of any smartphone, you physically can’t store all of your precious coursework on that device to keep it on the go. Also, it would be quite tedious to download every necessary piece of information on every device that you use like an iPhone, tablet, desktop computer, and laptop. In this case, cloud storage apps have you covered. Having an account on a cloud server is priceless, especially if you are one of those tech-savvy students studying Engineering or one of those media-heavy folks studying fine arts. Today, it is practically impossible to have all that drawings, 3D files, prototypes, and student films on one device. First of all, they take up much repository space. Second of all, if you store it all on one hard drive, you would have to carry it all around with you and download your files every time for ages back and forth. To avoid all those problems, what you have to do is keep it all on your cloud storage. Another benefit - such services also offer backup features, so the homework that you have been working so much on, won’t ever get lost. Additionally, you can seamlessly and instantly sync between various devices and keep your data of it’s newest version everywhere without having to fill all of your devices’ physical storages and suffer when they freeze. With that said, it is surely better for students to use cloud storages that offer more room for less money. Like Google Drive, which consists of many services and unless you are big into all things media, you can use it absolutely at no cost. Create spreadsheets and presentations, write, edit, share documents, and keep it all in the safe place with an offline mode as well. To boot, you’ve got unlimited stockpile of Google Photos up to 16 MB each. Only for $9.99 a month, you get a whopping 2 TB of stash on the cloud. Another big player in this niche, marked even on the list of the best iPad pro apps, is Microsoft OneDrive, which brings 1TB for $69.99 annually, which means you pay only $5.83 a month. Another popular app is DropBox, which works on every imaginable platform. It is easy to use, and it also syncs with other services like 1Password. They give 1TB of storage for $9.99 a month and 2 TB for $19.99. For creative users, Adobe Creative Cloud offers their cloud storages for your media projects of all kinds. If you happened to miss out how to prove the Fermat’s theorem, you can catch up with other people in the class by using online study apps. Websites like Lynda, EdX, Coursera, Udemy are also available as mobile apps to keep you fueled with knowledge on the run. You can complete thousands of courses regarding practically anything that you need to know. For an additional fee, they provide you with certificates that prove the new qualification. Gain some extra points to raise you above the competition when applying for scholarships, grants, internship, or even a summer job abroad. If you study a higher level of Engineering or Mathematics, you don’t want to spend much time counting on every equation that you solve. You need to see the architecture beyond numbers and integrals. To keep you focused on overall tasks rather than getting lost in details, you can use auto solving apps or scientific calculators like RealCalc. For international and transferred students, a digital version of an Oxford Dictionary is life-saving, so you always know the meaning of everything without having to carry a huge book everywhere around with you. Another great option is Scribd Library where you can get access to any textbook that you need without actually buying it. Though, you get all the features for some small amount of a subscription fee. In the Kindle app by Amazon, you get the widest range of books online for much cheaper than their paper versions (and they will never get lost). Here you are required to buy each book separately. Another pain for any student is hours of time spent on perfecting the correct bibliography list for an essay, research paper, thesis, or dissertation. Luckily, study apps like Easy Harvard Referencing, EasyBib, RefMe can free you from all the fuss. They automatically generate citations and references lists. Simply scan the barcode of the book or its ISBN number and choose whichever style you need. MLA, APA, Chicago style? No problem! Then email the file to yourself or copy-paste it to your college paper, and that’s it! There’s also a great number of scanning apps that help you instantly scan and keep all the paperwork for any discipline that you might need. Apps like StudyBlue help you to store, edit, and share flashcards for study. You can also generate quizzes and set study reminders. Flashcards of other students along with media are also available. School helping apps like this help students ace their exams so much easier and more fun. And if you feel like you’re not into the mood for taking notes, free educational applications like LectureCapture or LectureRecordings will do all the job for you. Just turn them on and then study the material recorded even offline, create playlists, automatically sync the material, get access to additional materials, create notes and bookmarks. Qualitative research is the basis of every good essay for a student. The new homework app Instagrok creates a whole research page in the form of a mind map highlighting key relationships and concepts about your question for research. Every statement comes linked with the source of the given information. Another great app is WolframAlpha available on iOS and Android both. It instantly gives you expert knowledge and computation of facts and statistics related to a variety of disciplines. Those are: technological world, web & computer systems, transportation, organizations, education, food & nutrition, health & medicine, money & finance, colors, words & linguistics, music, culture & media, people & history, Geography, weather, date & time, units & measures, Computational sciences, Life science, Earth science, Astronomy, Engineering, Materials, Chemistry, Mathematics, Physics, Statistics & Data Analysis. EBSCO Host also gives premium sources of information in PDF and HTML formats. You can save, sort, and email the results. In many colleges, the biggest part of your overall GPA rate comes from the homework you perform. The more homework, and obviously, the better it’s done - the better academic profile you’re going to have. And when all the assignments from a variety of disciplines come down on you, it becomes hard to figure out how to get everything done respecting each deadline. Moreover, you want it to be done as good as you possibly can do it, and you don’t always feel enough motivation or lacking time for it. Don’t worry. We asked students from the best colleges all across the world and they recommended us trying this. Student productivity apps! Now you don’t need your mom telling you to do that homework, which is sometimes bad because of so many distractions of the student life. Meanwhile, we share here with you a list of the best organization apps that create calendars, goals, and help you track your progress. You schedule might become tight but you will be sure that you make it all the best way. With the efficient and lightweight Studious, you will never be late for your classes and will always be prepared for the next exam on the list. Set your timetable, get homework and exams notifications, use the external storage for reading, writing, and backing up the important information! Another app Myhomework student planner got many awards as the best todo app in the field of best planners for college students. So, why don’t you check it out, too? You can set the class schedule and homework to-do list, sync your homework between devices, find schools and classes nearby. Also, you can choose between three different color schemes whichever of them fits your mood and style better. With the use of such apps, you are never going to forget anything or get lost in a ton of homework still waiting for you. For advancing your studying habits and preparing for exams, you can also use any study guide maker app. They generate quizzes for training any subject, and also make it easy to create, organize, and share flashcards. When trying to memorize something with the help of fun and interactive flashcards, you make the learning process much faster and more efficient than before. Can’t keep yourself from constantly checking the phone while in the class or while prepping for exams? Notifications coming every few minutes might be fun or even useful but when you have to concentrate and study, every minute of the distraction plays against you. Learn to be here now and get more things done with a top list of the amazing student organization apps allowing for productive self-control. The Hold app lets you collect points for the time you spend away from the phone. Every 20 minutes earn you 10 points. Afterward, you can exchange them on real coupons and discounts for spending the amazing free time away from school rewarding yourself for such hard work. Stay Focused tracks the statistics of your daily/hourly phone usage and recommends the rigorously calculated amount of time blocking the apps that distract you. Another app called Forest makes the self-control more fun than ever. You plant the seed in the app, and it will grow while you away from the phone. As soon as you distract again - the plant will wither. Other features of the app allow you to track the progress and share it with friends, unlock new tree species, and much more. Our daily productivity greatly depends on the quality of the recreation the night before. If you want to take the most out of your studies, it is a wise idea to have a good sleep to feel refreshed and ready to conquer the new heights in the morning. Student apps like Sleep Cycle calculate the best time for you to wake up during the fast phase of sleep. The patented method for recognizing sounds and vibrations also determines the particular moment in the 30-minute gap that you choose, when you need to wake up to have a better mood and feel more energized. In the subscription plan, it is possible to use services for faster falling asleep, track the sleeping and snoring tendencies, compare your results to the results of other people across the world. If you are one of those students for whom the hardest part of all day is to wake up on time, there are apps that could help you with the early morning problem. Try Alarmy (Sleep If U Can) app. This fun app requires you to take a picture of the kitchen or bathroom sink in order to turn off the clock. Other modes include shaking and solving Maths problems. For first-year freshers, the new campus life might seem exciting when they first see gorgeous buildings that became home for innovative knowledge and life opportunities. However, when you only have a 10-minute gap between the classes and you have no idea how to find the classroom on the other side of the academia, things become hectic. If you never want to get lost, then you should get familiar with traveling apps. Along with some life planning apps, these are perfect for those who prefer to live the off-campus life or have to roam the town often. The easiest to use is, perhaps, the Google Tour Creator. Another great choice is the Moovit app. Just select the point A (where you are), and the point B (destination) and the route builds automatically whether you want to travel by car, by foot, or by public transport. The schedule of available buses, subway trains, and the route time estimation will help you always be on time wherever you go. Waze is also a must-have in case if you are one of those students who knock around often - it shows you the traffic situation, car accidents, police posts on the road that could detain you. The old proverb says, all in good time. There’s a good time for study, respectively, and there’s a good time for hanging out. Because if you don’t have fun, how can you ever get the grip of what it’s like to study really hard. We suggest that you have a good you-time, after which your studying productivity raises to the skies. You probably have already written an essay about binge drinking and how it affects youth. However, a measure is a treasure, and some nights out are never a bad thing once in a while. If you are about to spend the night in a big company of people you barely know, or you and your friends have run out of ideas about what to do, then you could try the good old student fun apps. The most common type of those is a drinking game. Except that, in the form of mobile apps, it becomes even more fun and unpredictable. For example, Most Likely app is a game that suggests statements like “Who is most likely to… (do something)”. It is much similar to the “Never Have I Ever” game. You choose who is that person and he/she is required to drink a shot this time. And the game goes on to the next question. For those who already mastered the art of booze, it is time to go further. The Mixologist app is a true encyclopedia for the cocktail-making fun. The Howl app will help you to arrange a night out - you can create a shout out for the whole list of contacts in your phone, and also check in for other people’s howls. What are the other ways to use apps on the student party? It’s simple. When you hear an irresistible track, the best idea is to Shazam it. After that, if you have taken some photos and videos of the night and they are not embarrassing, you can Vine it or use the 1 Second Everyday app to share 1-second videos. Truly the best way to save precious memories and to value every moment of your unforgettable youth times in college! When you are ready to hit the night, it is hard to tell when to stop, especially after a few drinks. If you are not going to have a sober friend in your company to take you home, download an app like Wise Drinking or Sobriety Counter. You can count the alcohol consumption in one click and then the app automatically tells you when it’s enough. The Sobriety Counter also has a number of motivational features like the amount of money that you saved (and comparison with goals e.g. amount of money for vacation), beautiful badges and themes, games for distraction when you can’t stop wanting another drink that you know is redundant. This app is useful if you want to drink less alcohol or struggling to quit completely. If you know that you are not responsible enough to count the drinks in the app, you can buy the Alcohoot Breathalyzer. It’s a device that attaches to your phone and analyzes the alcohol percentage in your bloodstream, analyze the reaction of your body, keep track of the drinking habits (if you use it with its native app). The device is FDA-approved. The AlcoHoot also shows the restaurants nearby as well as orders you a taxi in case if you do consume too much. One more danger of excessive drinking is the excessive social media activity that makes you blush the next morning. Don’t fret! There’s an app for that! Sobrr deletes all your posts, messages, and new friends 24 hours after the booze night. The Drunk Mode app blocks calls to selected contacts that night - better safe than sorry! Also, it traces back your route (great if you have lost something on the way), helps to find friends that are hanging out nearby, and assists in getting home or to a friend’s location safely. Every real student someday has to face the need for saving money. If your last name isn’t Trump and you have to pay for tuition and living expenses for yourself, things become even more challenging. By the way, if the industry offers so many juicy deals exclusively for students, why not use it, even if your pockets are full? Gather your friends and arrange a night out, because there are so many places you could find that offer special discounts for students. Most of the apps assisting in the special student deal search require not only having an account but also getting a physical discount card by mail. After you get it, feel free to party! Look for A-List Student, Student+, RoverTown student discount apps to download. They will show the deals nearby, notify you if you are hanging out in the place that offers discounts for students. You can also collect loyalty points and redeem them for coupons and even greater discounts. In your student life, there might be situations when it becomes not safe. Unfortunately, many young people report violence and sexual abuse. The most common cases, in which it happens - bullying while in school, coming home late, living in a community style dorm. Student safety apps will be of great help in an unpredictable situation when someone threatens you. The Circle of Six U lets you create a circle of six friends. Instantly send notifications when you feel not safe, ask to get you home, call the hotline of your choice. BSafe is a multifunctional app. Create an unlimited circle of guardians, and communicate with them on your way home. The instant panic button sends an SOS signal (also activates by voice) to all the guardians. It can also record or stream video and audio from your phone to let them know what happens. A fake phone call can help you avoid the unnecessary attention of the stranger. The GPS tracking will let your guardians watch you online as you walk home. The Check-in function sends the exact location to pick you up. You can also set the timer alarm - if you won’t check in after the chosen time passes, the alarm will be sent to the circle of your guardians automatically. A loud siren alarm with a fire-red color screen also activates and disables by one touch. One of the apps every college student needs is Avast Free Mobile Security. Not only it protects your phone from viruses, phishing, and malware but also includes many features for cases when the phone gets stolen or someone wants to access your personal data without your permission. Its own password can lock any app with your sensitive personal information. You can locate your device when you don’t know where it is, block sim card, and secretly capture photos and audio of the thief. Likewise, Dashlane app securely stores all your passwords and personal data via encrypted protocols, autofills payment forms, uses security scanning, and password safety rate.